There’s a war being fought, but it’s just below the surface and away from the media’s gaze. It’s the civilized world against the theocratic pariah state of Iran — a race to stop their development of a nuclear weapon. That’s where Dan Gordon, an Israeli lawyer and former Mossad agent now contracted by the CIA, comes in. He is an indefatigable lone wolf, never safe from hostile moves even by those he should trust. He is undeterred, and hurdles he successfully overcomes are only preludes to new ones. 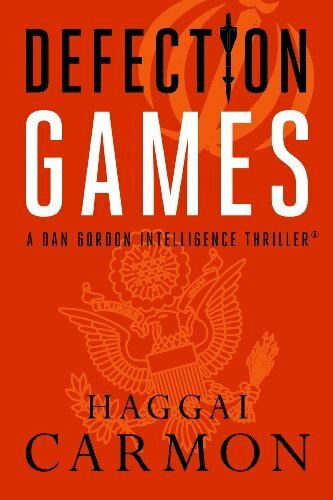 Dan is assigned with the dangerous and sensitive joint CIA / Mossad mission: to extricate from Iran a defecting general with a trove of intelligence golden nuggets. Operating beyond enemy lines and hostile territory, Dan realizes that he is being maneuvered by others, leading him to question his mission, his target and his superiors. The world is not waiting for Iran to develop a nuclear weapon. Unnamed powers daily frustrate their efforts and plans. Iranian nuclear installations explode, ships carrying nuclear components sink, and their scientists are assassinated. Nobody is claiming responsibility and the Iranian government is helplessly shooting in the dark. But for this clandestine war to be fought in the shadows, intelligence services must first gather information on Iran’s capabilities. These operations are intricate and conniving beyond the stretch of the imagination. The intelligence operatives know that changing loyalties, betrayal and treason are not the exception, they are the rule. In the cesspool of the covert intelligence war, there are no long-term loyalties, only immediate interests. Enemy, friend — these shift daily. That’s why Dan must sleep with one eye open.Always.